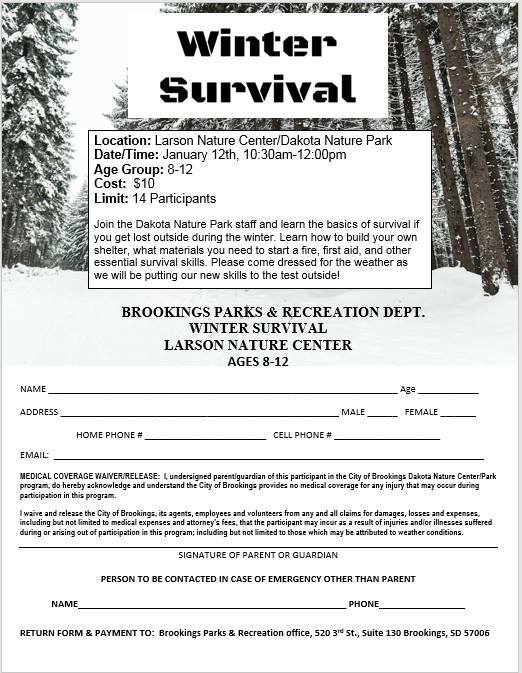 Join the Dakota Nature Park staff and learn the basics of survival if you get lost outside during the winter. Learn how to build your own shelter, what materials you need to start a fire, first aid, and other essential survival skills. Please come dressed for the weather as we will be putting our new skills to the test outside!